Pets get attached to their owners in a different way. The bond could vary in strength but it is always there! In some cases the love your pet has for you may be transferred to your partner! Many people were probably surprised to find that their pet gets attached to their partners faster than they bonded with them. This is both sweet and annoying! After all, it is not nice to see how you partner is now your pet’s favorite human! 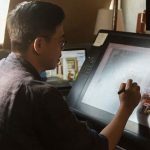 Of course, as long as the pet loves both of you, everything is okay, we suppose, but it is still a funny thing to see such situations which is why this list exists. Check it out and enjoy it! If you want to relax at home and distract yourself from work and problems, the best thing you could do is take a nap! Of course, it would be twice as good if your partner is there to cuddle with you. 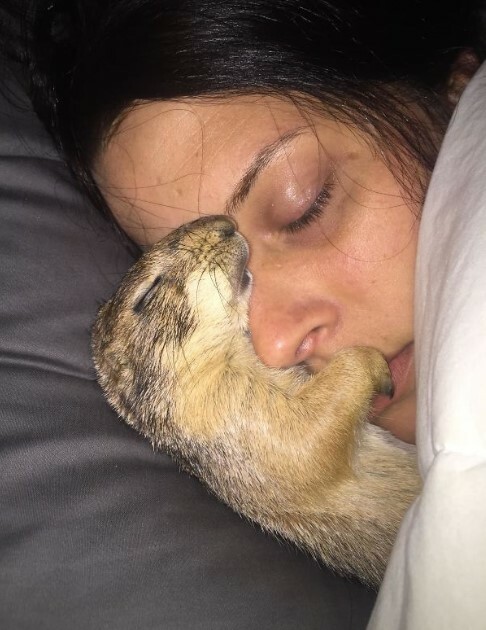 However, seeing that your prairie dog took over your spot is not a nice thing, but it is still sweet to see them asleep like that. The photo was posted by this person’s girlfriend. 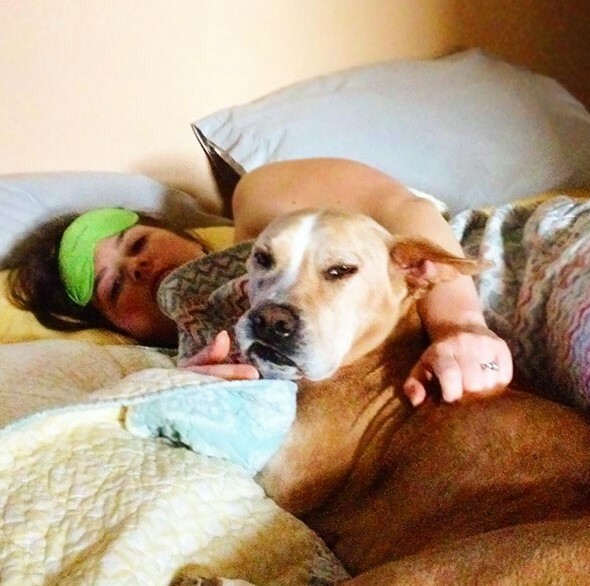 She wanted to enjoy her morning coffee with her boo and cuddle but the dog kept acting annoying until she got up. This is when the sneaky canine took her spot and its face speaks more than a thousand words. Someone got played for sure! We never knew we would see such a thing, but it seems that some cats grow just a bit too attached to their owners and their partners. The woman who took this photo explained that she couldn’t sit next to her man without the house cat throwing this look at her! It seems that the feline is really in love with the man! Dogs are man’s best friend but in certain cases they want to take over people’s lives completely! As you can clearly see, this man is probably trying to get some work done but his dog is right next to him and enjoys cuddling with him. The curious part is the jealous look the canine throws at the girlfriend taking the photo. They say that hanging around with the same crowd will eventually make you appear the same as the rest. This goes for both looks and attitude. As you can see, this image suggests that the above mentioned saying might actually be true! This man’s girlfriend took the funny photo because she noticed the resemblance! 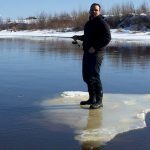 These images were taken by this man’s wife. 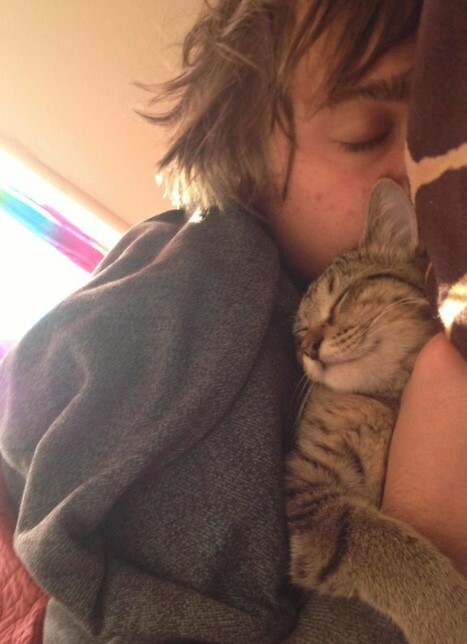 She noticed that every time she wanted to cuddle with him while he was napping, the cat was there first! It seems that the chubby kitty loves that man and she enjoys napping alongside him. The images are really sweet and show that cats also have strong bonds with people. This is probably one of the best images on the list and you can easily see why! The bigger dog clearly stated that the woman should not be allowed next to the man. 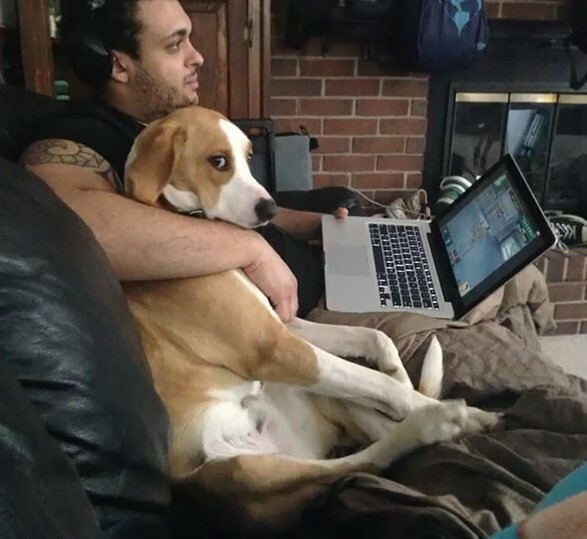 It turned out that the doggo was acting jealous because the girlfriend received a lot of attention from her man but the doggo wanted to have it all! This photo was posted by a woman who experienced something like a betrayal. 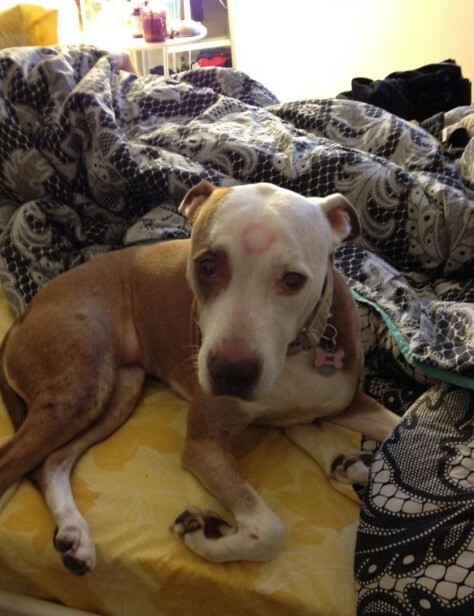 She got out of the bed just for a couple of minute and when she returned to the bedroom, she found the dog like that! 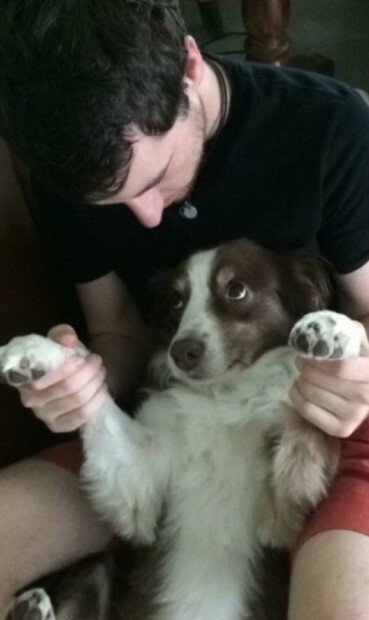 The dog was female and the look on its face is absolutely priceless! We guess that the woman’s only choice was to join these two. This is another brilliant example of cats showing their love and affection for their masters. The image was taken by this man’s wife. She probably feels second in command because the cat always takes the place right next to the man. The obsessive feline even throws a look which clearly states that the wife needs to know that she is not the first lady in the house. Dogs are far better in showing their love for us! They have numerous ways to demonstrate it and they do it every possible minute of the day! In this case the dog enjoyed the company of its owner’s boyfriend and you can see that there is definitely love in the air. The man took the doggo to the park and they were able to bond instantly! This sweet photo is really nice to see and it has a story behind it. 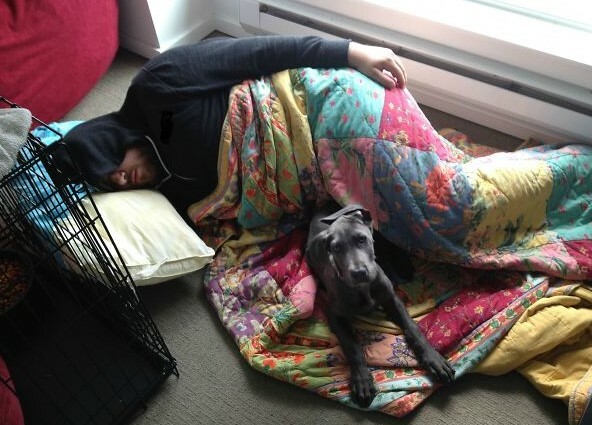 It was taken by this man’s girlfriend who him that the new puppy they got was not going to sleep on the bed with them. It is more than obvious that the man chose where to spend the night and we salute him for showing the pup all the love and attention it deserved! It seems that many pets are so attached to their favorite humans that they are virtually glued together in most of the time. The person who posted this image on social media explained that this is the sight she witnesses every morning after waking up. The cat obviously loves cuddles and enjoys sleeping late. 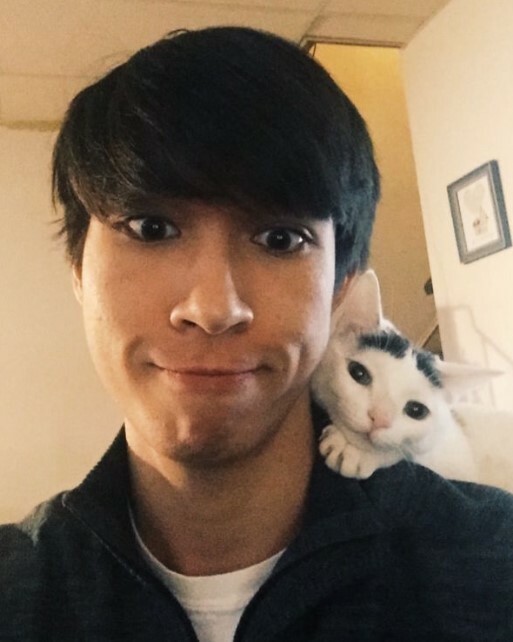 Of course, not all cats are so attached to their owners. Hanging out with your pet is one thing, but chilling like this is a completely different story. Imagine this woman’s reaction after she found the cat and her boyfriend hanging out like that! The man and the kitty obviously prefer to chill in the exact same way which means they are the perfect sidekicks for each other! This level of calmness is a dream for most people. 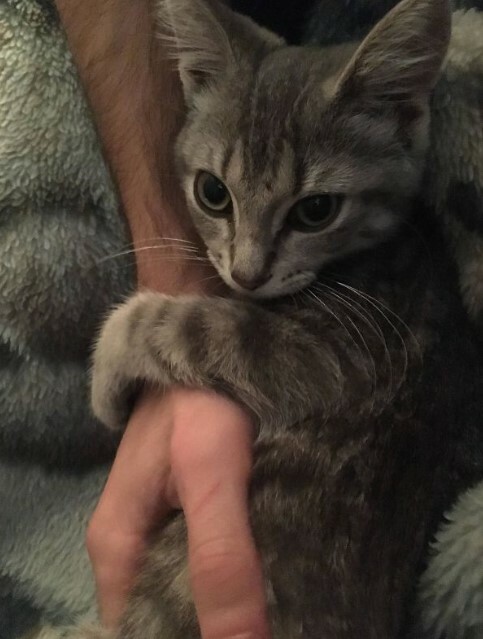 When a couple got a stray kitty to take care of, the woman noticed that the kitty became instantly attached to her man! This photo shows that she is absolutely right! 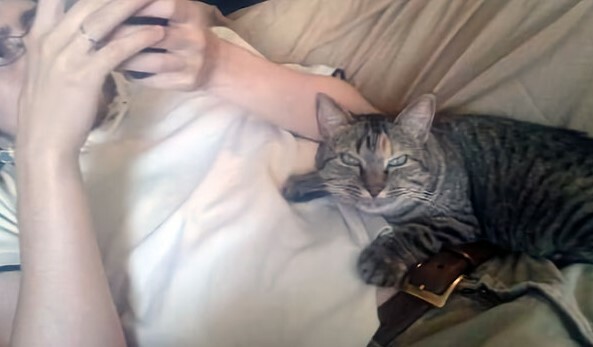 The cat is holding tight of her favorite human and the look it has clearly says only one thing – ‘mine’! Cats can act really obsessive sometimes. 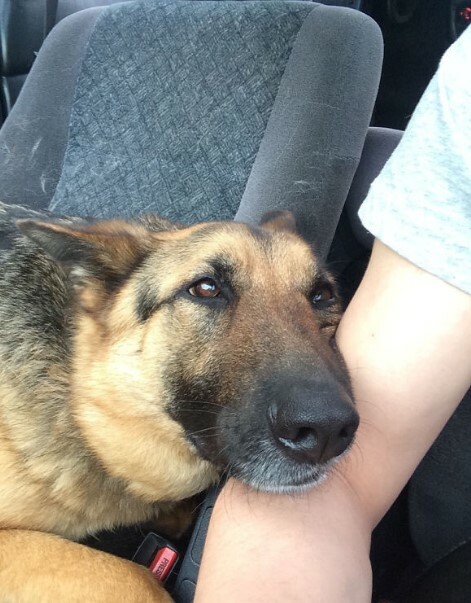 This cute doggo has the cutest face and the way it looks at that person is absolutely adorable! 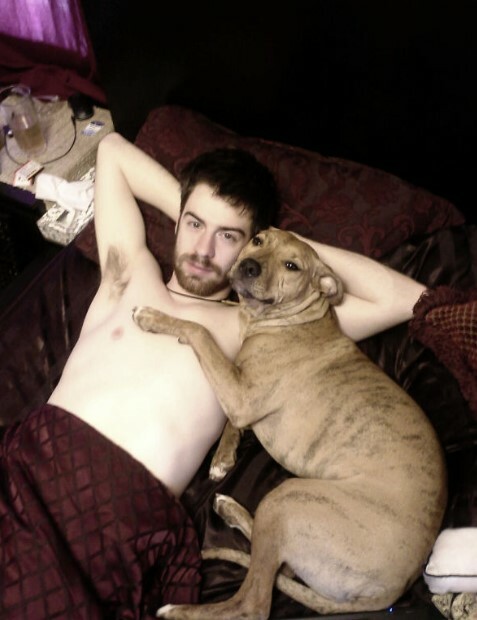 The dog belongs to his girlfriend but it seems that it quickly became attached to her man! There is nothing but love and admiration in those eyes and we are completely overwhelmed by this awesome photo. Imagine how happy this family must be with a loving canine like that! It seems that some pets are willing to take all the attention from your partner as soon as you turn your back on them. 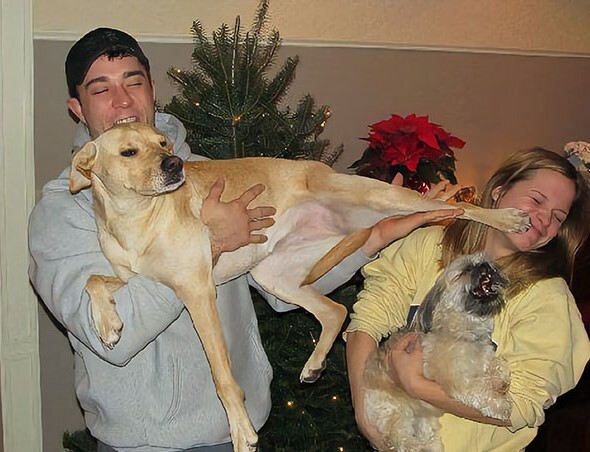 The funny photo above is another story of a pet showing some attitude! 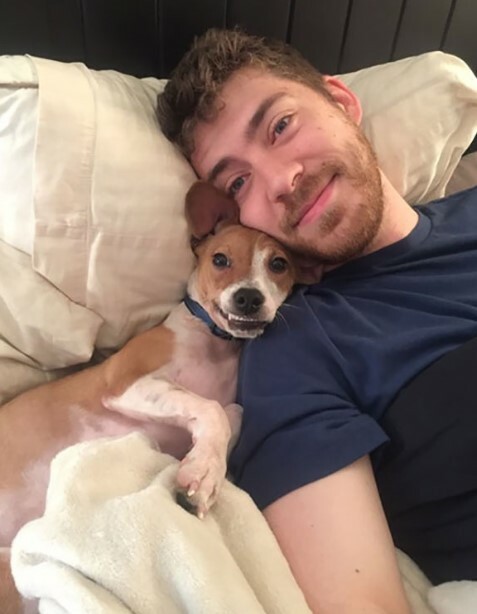 The man who posted the image explained that the family dog snuggles with his wife every morning and this is the look the doggo throws at him every time this happens. The look on that cute face is priceless! Sometimes the signs of the love and affection the pet steals from one of the partners are more than visible even if the person is not around. As you can see, this doggo definitely received a goodbye kiss from the lady of the house and we believe that the canine felt happy and proud! 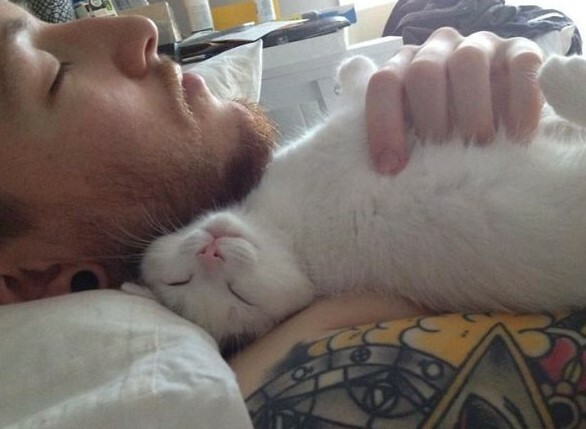 This sweet cat is all tucked in under this person’s chin and we guess that his beard makes all the difference. The cat probably feels warmer there or it just likes how it feels. Seeing these two still in their sleep is adorable and we like the photo a lot! 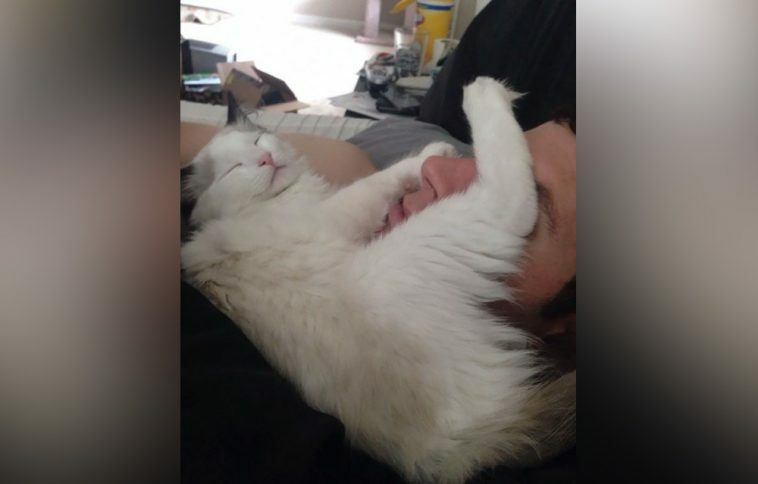 This photo was taken by the man’s wife because she wanted to show him how their cat loved to sleep literally on top of him. 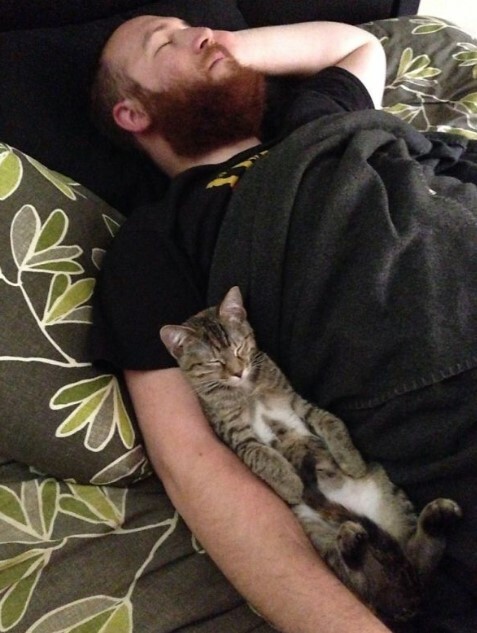 The clever kitty used the man’s body in the best possible way and found the perfect position to sleep in. 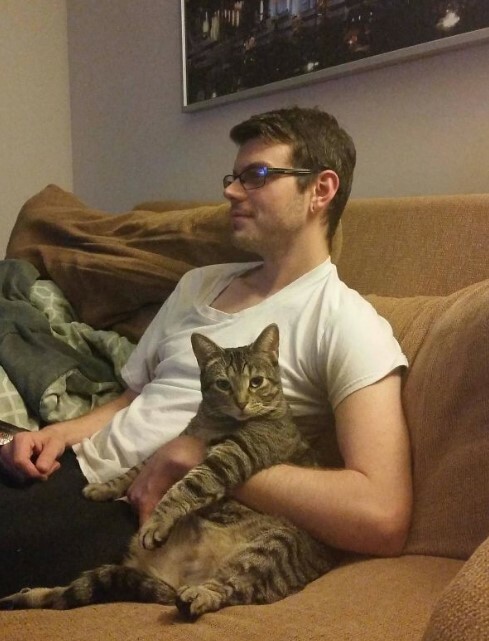 The tranquility in this photo is amazing and we guess that the kitty loved feeling the man close. Naptime cannot get much cuter than this! The sweet story behind this photo is awesome! 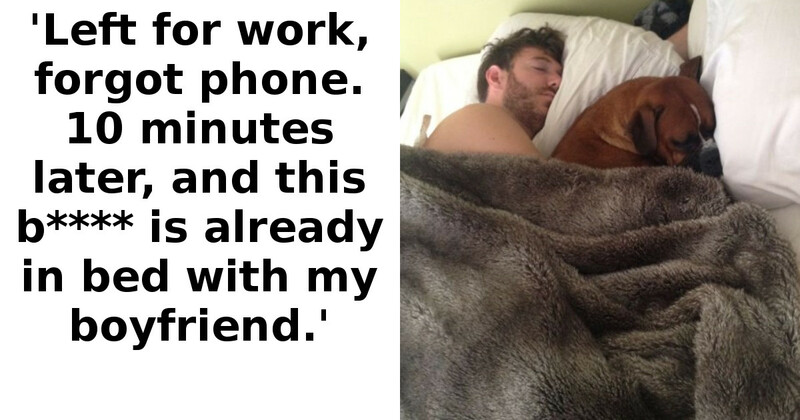 When this person’s girlfriend left for work, she realized she forgot her phone. Upon returning home to get it, she saw that their female dog had already taken her place and it seems that it felt asleep immediately!